Grey hat SEO techniques take more risks than white hat SEO techniques but aren’t likely to get your site banned from search engines (although a search engine penality could result). They’re questionable SEO techniques but not in the same category as black hat SEO techniques. 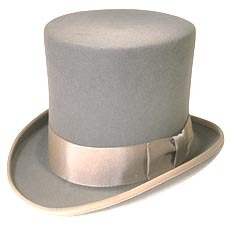 However, what’s considered gray hat SEO today might be black hat SEO next year. Rather than this led to the development of the website. Grey Hat (or Gray Hat): Since the color gray is between black and white, logically Grey Hat SEO sounds like a label for the middle ground. But it’s not. Because White is pure white and grey is a shade of black, we have confusion. Some say Grey Hat is NOT White Hat and is just a shade of Black Hat. So let’s step away from the coor wheel and define Grey Hat as the practice of tactics/techniques which remain ill-defined by all that published material coming out of Google, and for which reasonable people (not White Hat SEOs, mind you, but “reasonable people”) could disagree on how the tactics support or contrast with the “spirit” of Google’s published guidelines. Cloaking is the practice wherein the web site owner provides information to the search engines which is different from what the site actually contains. Obviously, this is a practice that reeks of deception. However, there are certain cases when this practice can be deemed acceptable. For example, if the web site has content that is available only to members then it could be acceptable. Then again, this practice can very well be abused. That is the main reason cloaking is considered gray hat SEO. We all know how important links are for SEO. That is why it is quite understandable that the practice of buying links can become questionable. Purchasing links for advertising purposes is fine. However, if you purchase links solely because you want in link-popularity, then it could be considered shady. In fact, the suggestion is that you work on links to increase your traffic and just consider the increase in link-popularity as icing on top of the cake. 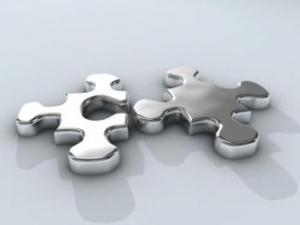 Duplicate content can be considered legitimate in certain cases but rarely. For example, indexing and abstracting web sites may have duplicate content. In most cases, though, duplicate content is considered unacceptable. Much has been made about blackhat SEO principles and, in general, greyhat SEO principles and techniques largely go unmentioned.The differences between black and white are obvious, but shades of grey begin to overlap and the line becomes blurred as to what is acceptable and what is not. Ultimately you must rely on sound judgment and core design principles to protect you from possible damage should you cross over that thin line. 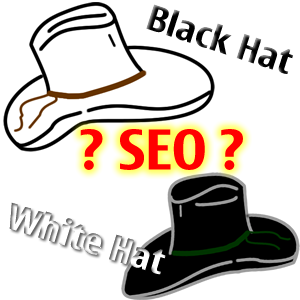 What is Grey Hat Seo?? Grey Hat (or Gray Hat): Since the color gray is between black and white,logically Grey Hat SEO sounds like a label for the middle ground. But it’s not.Because White is pure white and grey is a shade of black, we have confusion. Some say Grey Hat is NOT White Hat and is just a shade of Black Hat. So let’s step away from the coor wheel and define Grey Hat as the practice of tactics/techniques which remain ill-defined by all that published material coming out of Google, and for which reasonable people (not White Hat SEOs, mind you, but “reasonable people”) could disagree on how the tactics support or contrast with the “spirit” of Google’s published guidelines. Are grey hat techniques really ethical? How come when it comes to websites, we always look for the ones that have good content and are relevant to what we are looking for.However some website developers do not seem to understand that. There are a wide range of SEO techniques that exist for increasing the ranking of a particular page. Some of these techniques are considered ethical, while some of them are not. The techniques that are ethical are known as white hat techniques, where as the others are known as Black hat techniques. Many SEO experts use a combination of these techniques because they are easy to implement and they provide a considerable amount of success. There are many white Hat SEO optimizing techniques that include META tags, putting keywords in URLs, submitting sites to directories, making sitemaps, obtaining links on related sites, and creating keyword-optimized content. 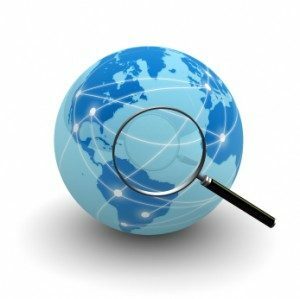 These techniques allow the search engines to find relevant pages which people are looking for. Search engines promote such methods through services like Google Webmaster Tools. These techniques are being promoted on a large level, because these bring guaranteed results, however the major issue is that they are a little difficulty to achieve and are time consuming. This is the reason that people have started opting for Black Hat SEO which includes methods like redirecting search engine “spiders” to different pages than human visitors see, mass-posting “spam” comments or putting lists of keywords at the end of each page in very small fonts. This brings the rank of the website higher in Search engine Result Pages (SERPS). Black hat methods reduce the quality of search engine results, which does not help, because the user would not visit your website again. The point that people miss is that one should design a website in accordance to the “user” and not the “Search engine”, because ultimately users will be using the website. The difference between white hat and black hat lies in the fact that Black Hat SEO techniques are faster and easier to implement, but they always have the risk of causing search engines to downgrade. All of us believe in the fact that “ Everything is fair in love and war” so many companies and SEO experts follow Grey hat techniques, which is just as bad as following black hat, because in any case one is not following what is called “ethical”. This does not hinder and affect in short term but adds up and hampers in the long run. By saying that grey hat is NOT totally black hat doesn’t really make it a complete ethical procedure. One needs to understand that limitations of something could become strong points of something else but that doesn’t guarantee that the other thing is very much right. So we can not really talk about success by hiding its failures. Using Grey or black hat is the same; it’s just that grey hat is a safer term. White Hat SEO methods, if performed correctly will help you have a greater impact over the web in general. Everyday a new black hat technique is introduced over the internet because of which they are getting popular, but these techniques are unethical. The best way to get recognized over the internet is to use white hat techniques and hire the companies that follow them, if you follow unethical techniques then you will end up creating a website only for the search engine, which would not be of any use to you. Always create a website that is for the “user” and not for the search engine. Even the most familiar idiom ‘by hook or by crook’ is also not justified from the darker perspective of SEO universe. On one side, some people using black hat SEO techniques to promote their brands or services is perfectly fine for their business just because they don’t care what methods they used and from where the business came in, so it proved to be ethical for them. But at the same time, they are quite unethical as well; cheating search engines and blocking succession routes of other competitors. So even if you are following unethical procedures for your own betterment (intentionally causing no harm to others), still you can not justify your stand because you may be unethical to someone, directly or indirectly.